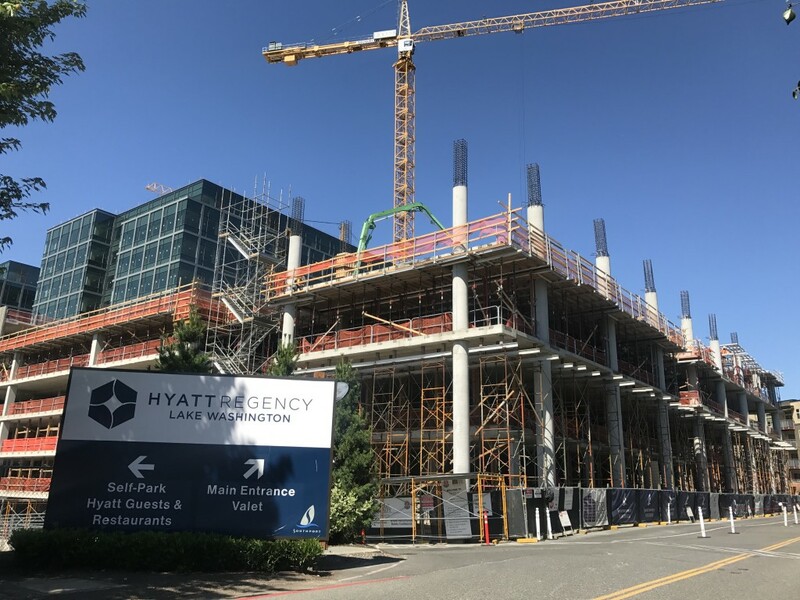 Tower 1 construction continues this month with an emphasis on the Living Room lobby preparation so that finishes can be installed at the public amenity levels. 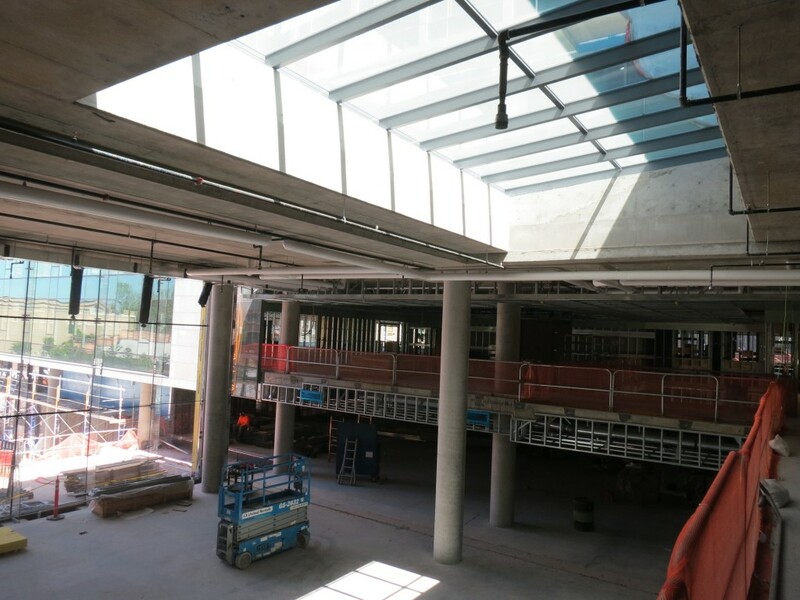 The skylight has been installed at this entry which will be a great show piece for the lobby and allow an abundance of natural light into the space. 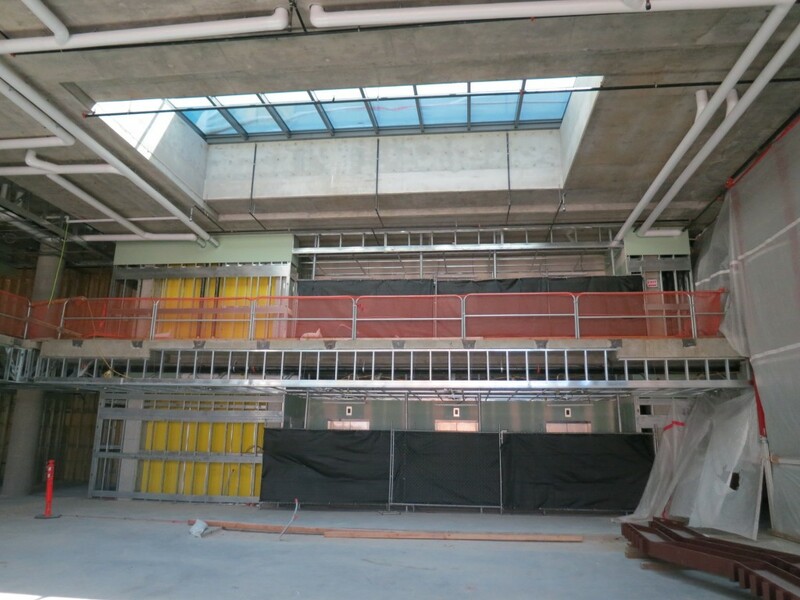 The exterior soffit at Level 1 is ongoing with the drywall complete and plaster finish to follow. Sheetrock work in the tower is ongoing and is complete up to level 9. 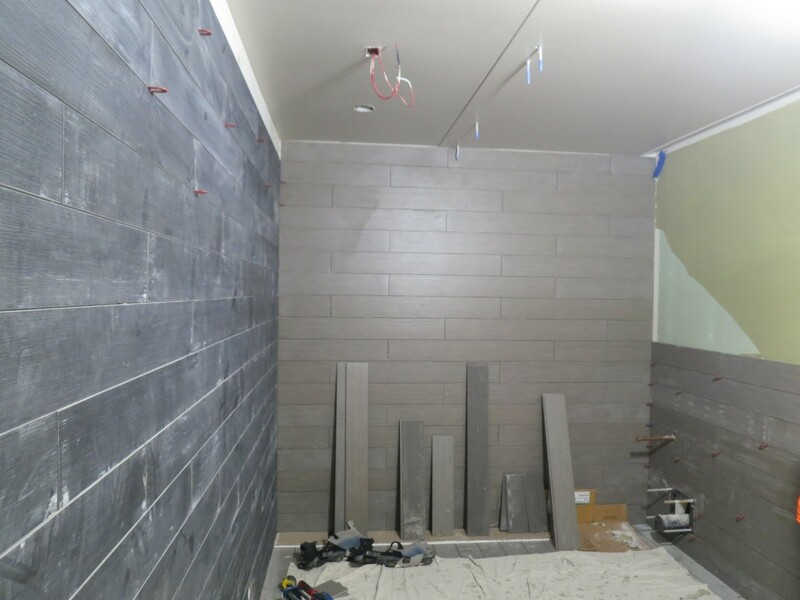 Floor tile in the bathrooms is up to level 5. 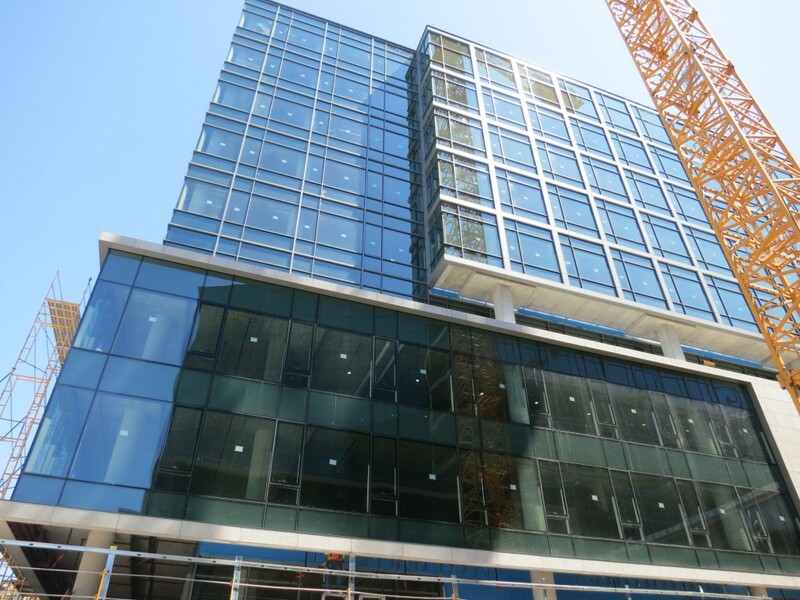 The interior elevator finishes are nearly complete and the ceilings at the elevator lobbies are framed up to level 6. At the roof, the mechanical equipment install is ongoing while the metal panel screen wall will be complete by the end of the month. 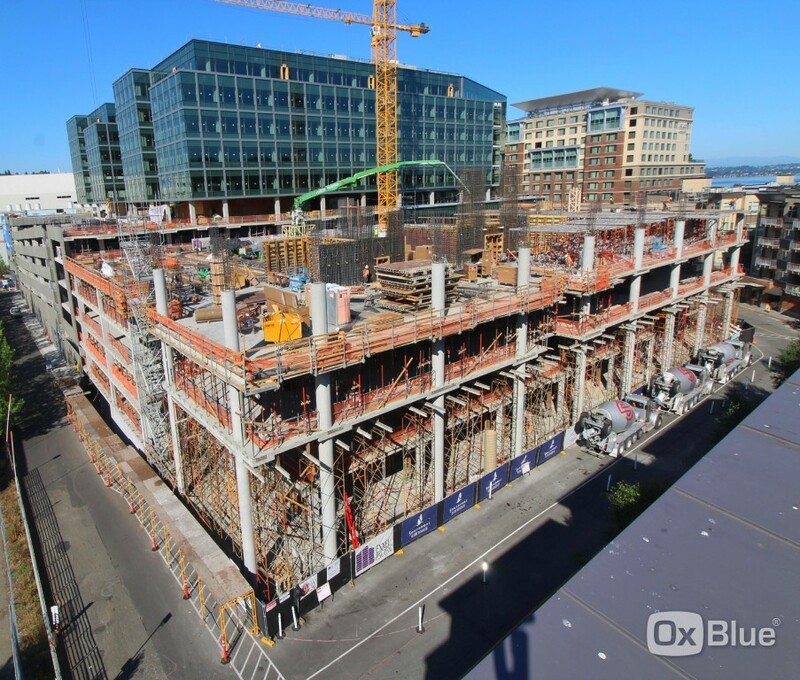 Tower 2 construction is catching up to Tower 1 as both towers are on schedule to be complete by December of 2018. 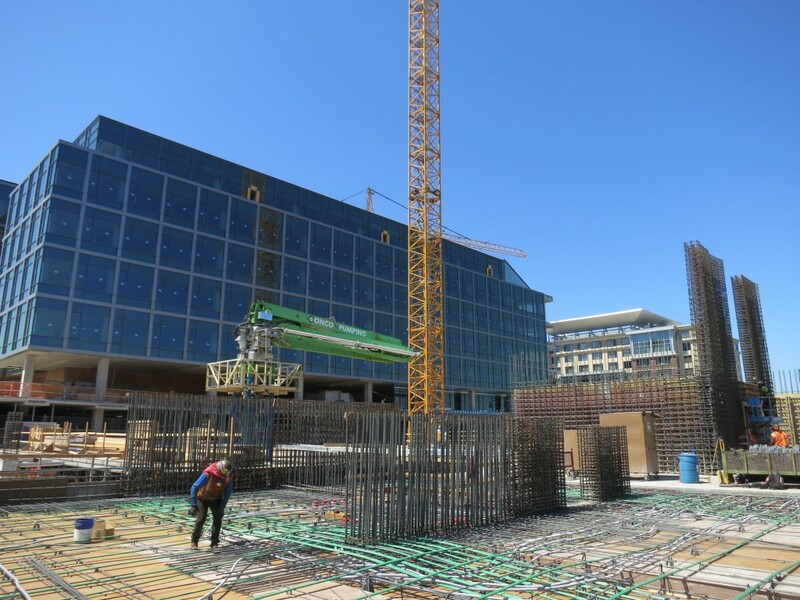 Framing in the tower is complete to level 9 along with ceiling framing complete to level 8. Sheetrock work is ongoing and is complete up to level 6. Mechanical, electrical, plumbing rough-in is ongoing up the tower ahead of sheetrock cover. At the roof, roof insulation and waterproofing are currently being installed. 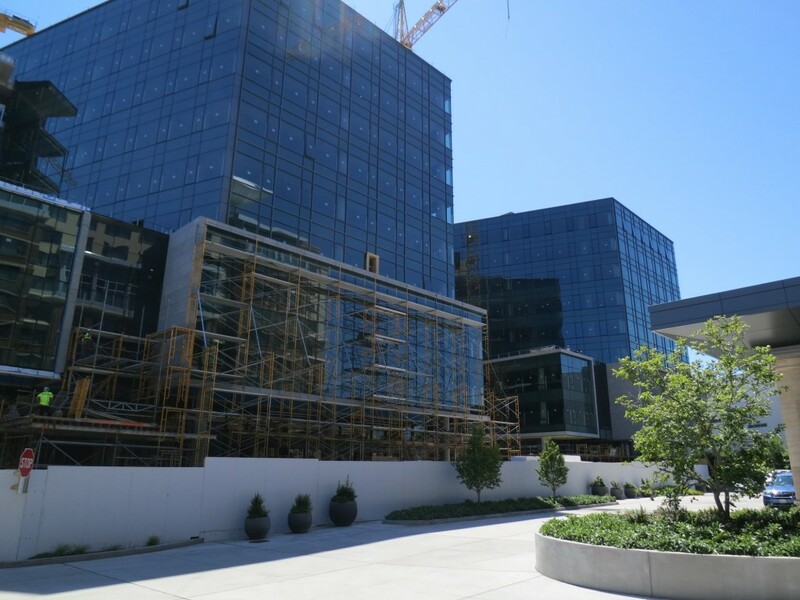 The stone work at the exterior façade is complete on the North and West facades. Handrails, pavers, and metal panel are all in process at the level 4 outdoor terrace. 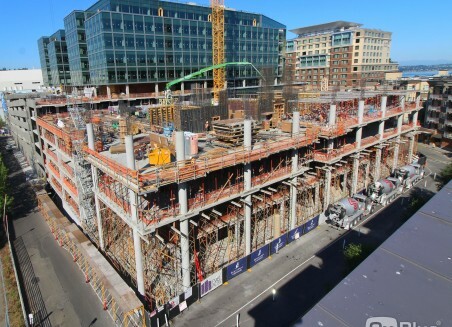 Tower 3 concrete decks are on schedule to be completed by the end of 2018 as they are currently up to level P5/Office level 3. Site preparation has been ongoing for the plaza area between towers 1 and 2. The waterproofing is complete with foam build-up, soil, and hardscape to follow. 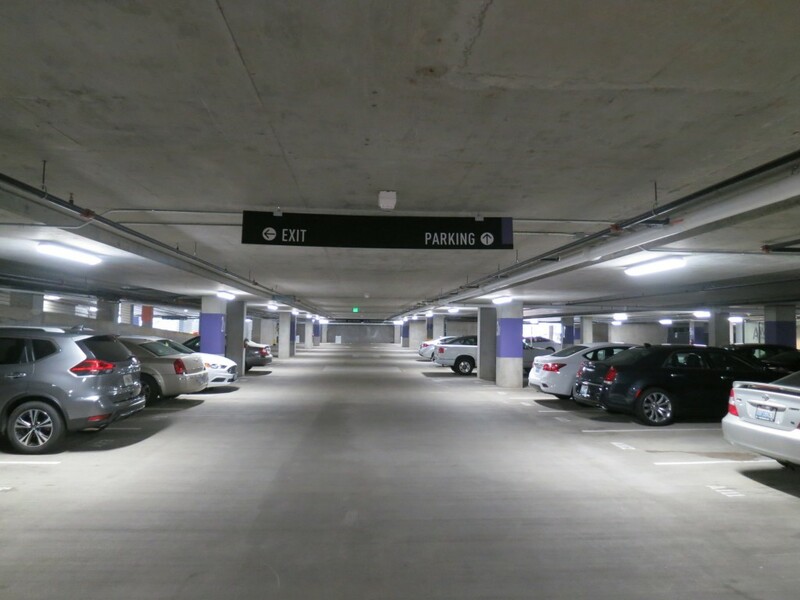 The garage continues to be used for Hyatt guests and retail patrons for self-parking. 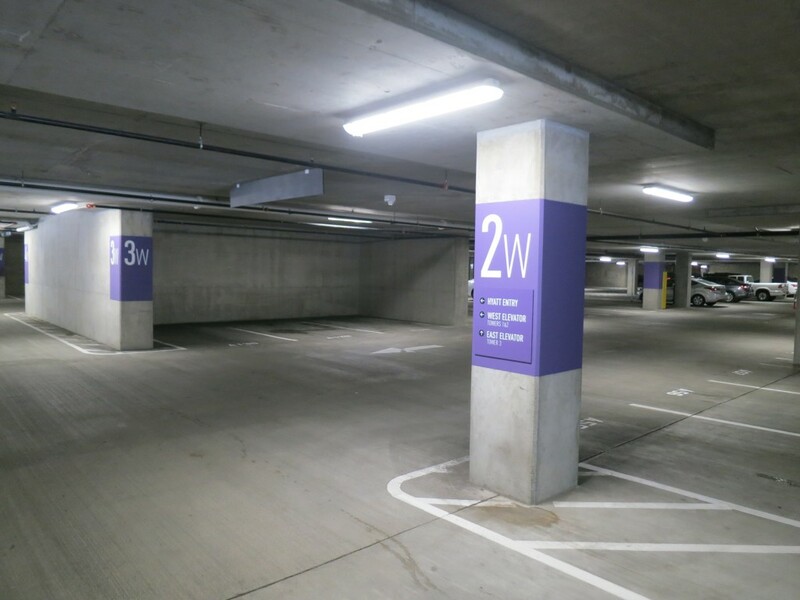 The storefront doors for the elevator lobbies are currently being installed while wayfinding signage that supports Tower 1 and Tower 2 will be complete in the garage by the end of the month.